The word “repent” or “repentance” is one of those theological terms that seems antiquated, old-fashioned, or foreign to many Christians today. It’s not uncommon to hear someone articulate a gospel message that is void of any reference to this teaching. Although many assume that this is simply characteristic of the 21st century state of the Church, Thomas Watson’s classic work on this topic reminds us that Christians are constantly in need of studying and applying this doctrine regardless of the age in which they live. Although written in 1668, this short book (122 pages) is easy to read and filled with valuable insights. 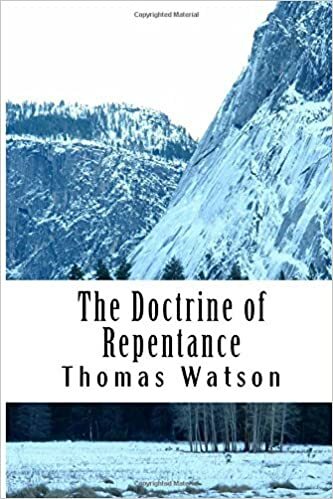 In a very pastoral manner, Watson looks at the nature of, rationale for, and hindrances to repentance before showing the reader how to repent. I highly recommend this work to all Christians since, by nature of God’s work in our hearts, we are all repenting people. I found myself driven to my knees while reading The Living Church by John Stott. Very few books have had this effect on me. Written shortly before his death, this book is a reflection on the Church and lessons learned over 60 plus years of ministry. However, the author does not begin by looking back on what was and longing for the good old days. Rather, Stott takes note of where we are in the 21st century and reflects on what the Church can be. He begins the first chapter by listing the essentials of God’s vision for His church – Learning, Caring, Worshiping, and Evangelizing. The next seven chapters show how these four characteristics unfold in the life of the Church. The author concludes his thoughts with a challenge to up and coming “Timothys,” and he includes three interesting appendices offering historical insight into his life. Even in the few instances where I disagreed with Stott’s views, I was encouraged by the godly counsel from this wise and experienced saint. Although it is a short read, I believe you will be pleasantly and gently challenged by this work. I highly recommend it for all of us at Grace & Peace as a nice book on a late summer vacation or to start the upcoming season at our church. Since vacation season is here again, I hoped to find a book that was short enough for busy parents, yet interesting enough to keep one’s attention on the beach, relaxing by a mountain lake, or simply kicking back at home. Faithful Women & Their Extraordinary God by Noel Piper (wife of pastor and author John Piper) meets those requirements. The writer has provided five biographies of godly women whose desire to serve the Lord challenges the reader to do the same. The women that Piper chose to include are Sarah Edwards, Lilias Trotter, Gladys Aylward, Esther Ahn Kim, and Helen Roseveare. All of these women come from different countries, serving on various continents throughout a period that stretches from the 18th to the 20th century. Sarah Edwards was the wife of the famous pastor and theologian Jonathan Edwards. Lilias Trotter was born in England and sailed to North Africa to work as a missionary in Algeria. Gladys Aylward was a missionary to China in the 1930s where she became a naturalized citizen, working with orphans. Esther Ahn Kim was a Korean Christian who endured persecution when the Japanese military controlled that nation. Helen Roseveare served as a doctor in the Congo throughout many years of bloodshed and turmoil. Their love for the Lord drove them to not only serve but suffer for Christ and the advance of the gospel. Although I had originally hoped to find a book that would appeal to the women of our church, I was drawn in to the various accounts of these courageous women and encouraged to see the faithfulness of God in each of their lives. I recommend this book as a good summer read about the lives of other Christians who gave all for the glory of God and found Him to be strong on their behalf. Although an older sister document to the Westminster Shorter Catechism, many Presbyterians know little about this work. G. I. Williamson, who wrote study guides for the Westminster Confession of Faith and the Shorter Catechism, has also provided a thorough examination of the Heidelberg Catechism that includes all 129 questions and answers. 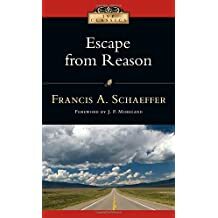 Having worked through this material in the past, I highly recommend it for those wishing to grow in appreciation of their salvation in Christ and a general understanding of the Reformed Faith. As many of us can attest, we often come into the Reformed Faith because of compelling theological reasons only to discover that there is much more to Reformed theology than the five points of Calvinism or the five solas of the Reformation. Sometimes we are surprised to discover that a major emphases of the Reformation was the nature and practice of worship. Reformed worship in particular can be a little puzzling to folks that have grown up with a broad evangelical background. In the book With Reverence and Awe the authors offer a study on the foundational principles of worship in a Reformed context. This short work challenges the reader to seriously consider a biblical perspective on the worship of God, thereby upholding what is known as the Regulative Principle. Although it is not an exhaustive study on the subject, it does turn our attention away from the common man-centered approach to a God-centered focus on what the Church does as it gathers together on the Lord’s day. I highly recommend this concise work to anyone wishing to understand the Reformed perspective of worship.